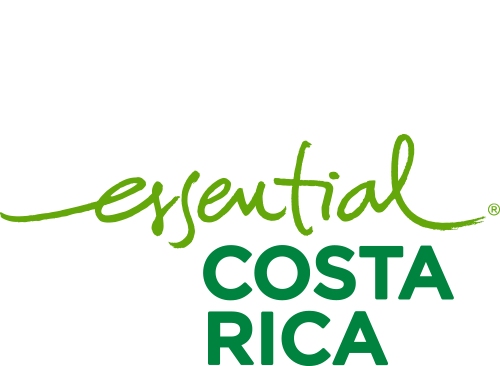 Seedtime – CATSA – Central Azucarera Tempisque S.A. The seed comes from seedbeds with an age preferably of 6 to 7 months. 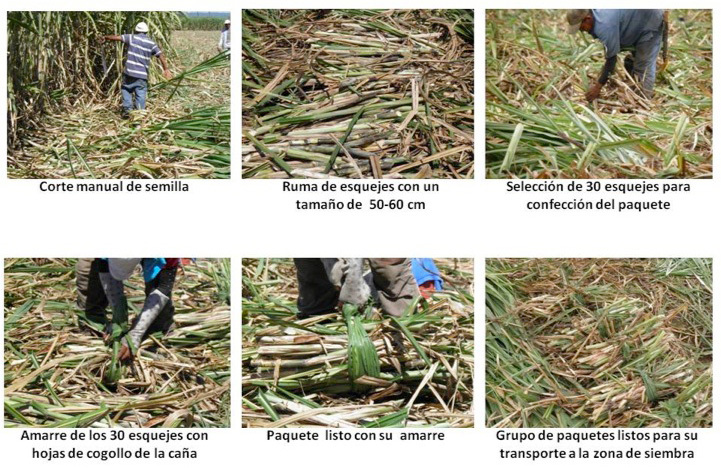 A manual cutting system is used and the seed prepared in bundles or rolls of 30 pieces from 50 to 60 cm in length tied with the head of the cane. The packages are transported to the sowing lot and distributed in a cart placing a package or roll for 8 meters of furrow for a total of 833 packages per hectare. The cover of the seed is made with a disk implement with its respective compactor role which covers 3 grooves simultaneously. 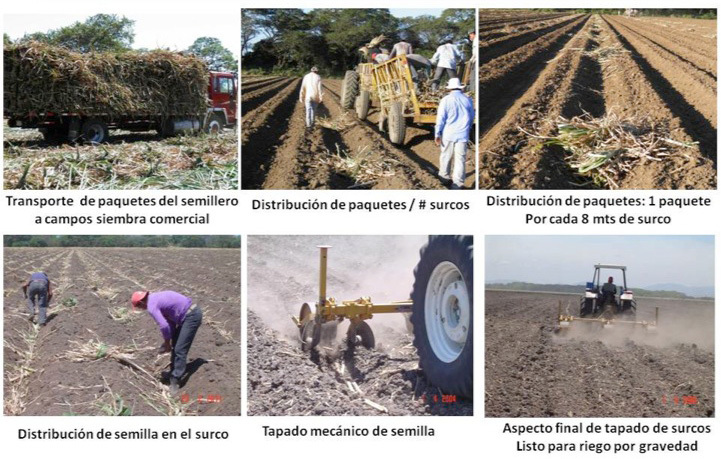 The sowing process has a quality control from the preparation of the package to the deposit of seed in the furrow. With an established norm of placing at least 16 healthy yolks per meter.